Each of the Self Catering holiday cottages we offer are unique in their character and offer accommodation to suit every lifestyle and budget. The main common criteria between them all is that they will provide with a break you will treasure for many years to come. 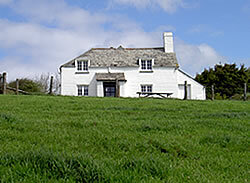 Unlimited Wifi Internet Access is available in all cottages. Lower Tresmorn Cottage is a traditional whitewashed Cornish cottage enjoying spectacilar uninterrupted views across wooded valleys and fields to the sea. Sleeping up to 5 guests in two bedrooms (1 double & 1 twin plus a "Put You Up Guest Bed"), this cottage is in a peaceful and private location near to the main farm. 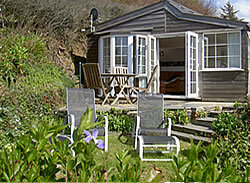 Pen Cliff is a delightful,private and secluded wooden chalet tucked into the side of the cliffs with amazing views over the beach at Crackington Haven. 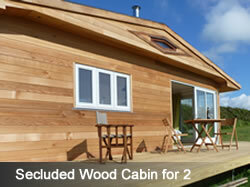 Sleeping up to 4 guests in two bedrooms (1 double and 1 bunk beds) plus a travel cot if required. 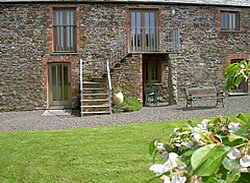 Offering relaxed self catering accommodation in superbly converted stone barn on the old family farm and a short walk to Crackington Haven beach. Sleeping up to 9 guests in 3 bedrooms (each with a double and single bed). • Bed linen is provided in all our properties. • All of our properties are non-smoking for the comfort of all guests. • We regret that we cannot accept pets. • Towels are not provided, but can be hired at £6 per guest. • Electricity and central heating is included in the rent for Mealhouse. • Night storage heating is included from the end of September to the end of March at Lower Tresmorn Cottage and Pen Cliff.